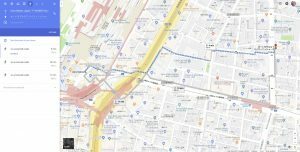 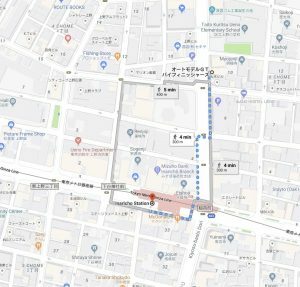 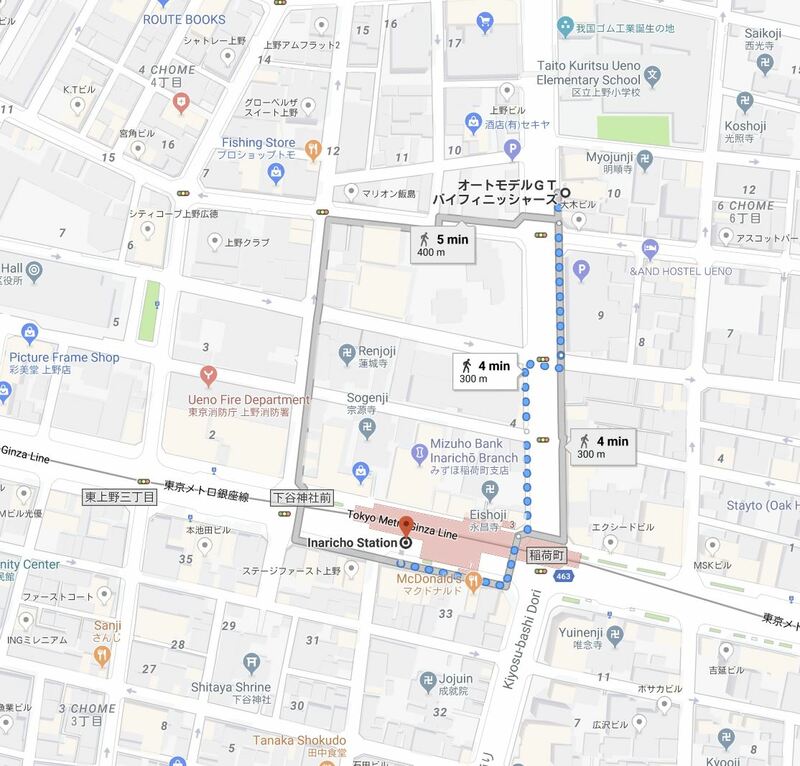 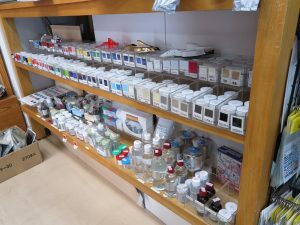 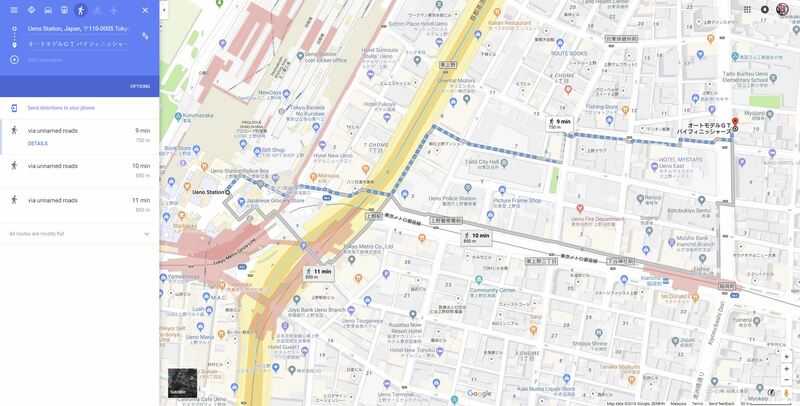 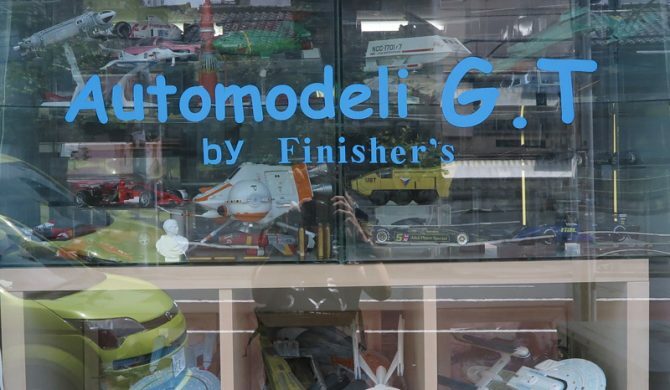 My trip to Japan start with the first visit to Mr. Nobuyoshi Kawaguchi shop, he is the creator/owner of Finisher’s brand, and he own a model shop at Ueno, very close to Ueno Station (about 10 minute walk). 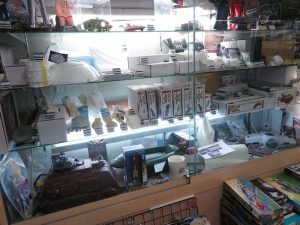 Here’s some quick look inside the shop. 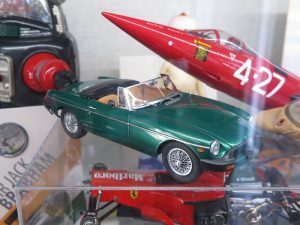 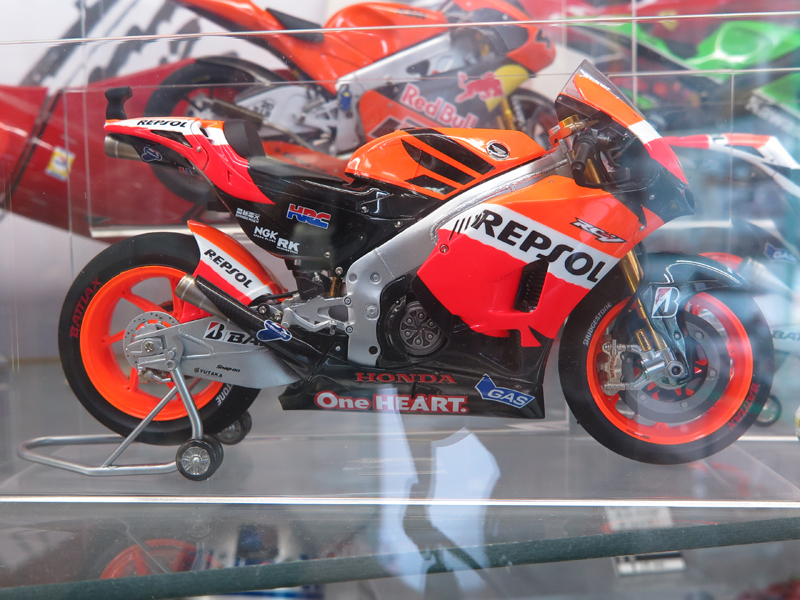 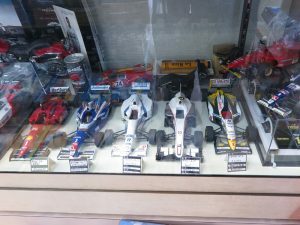 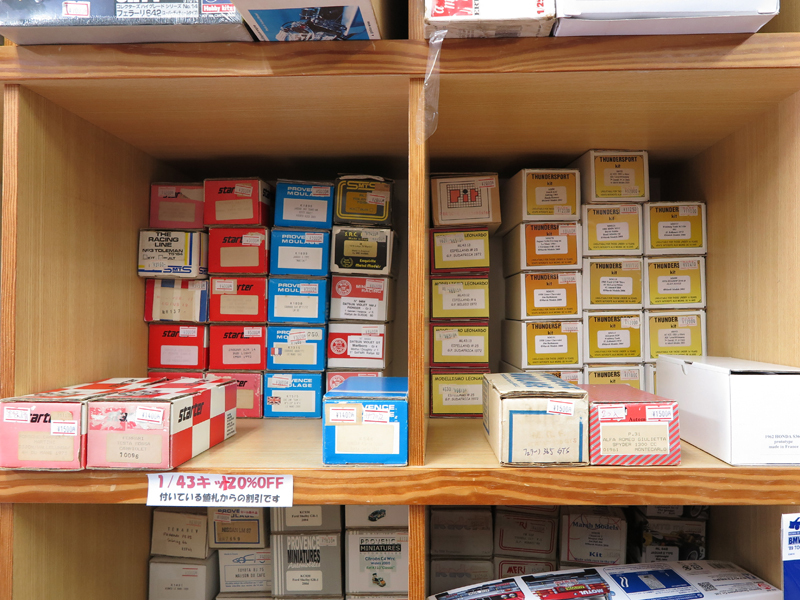 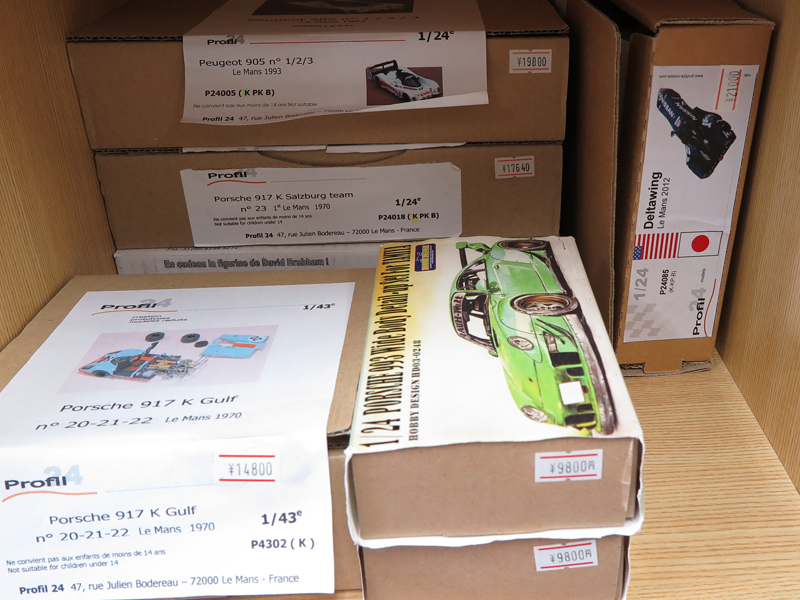 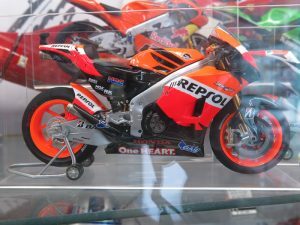 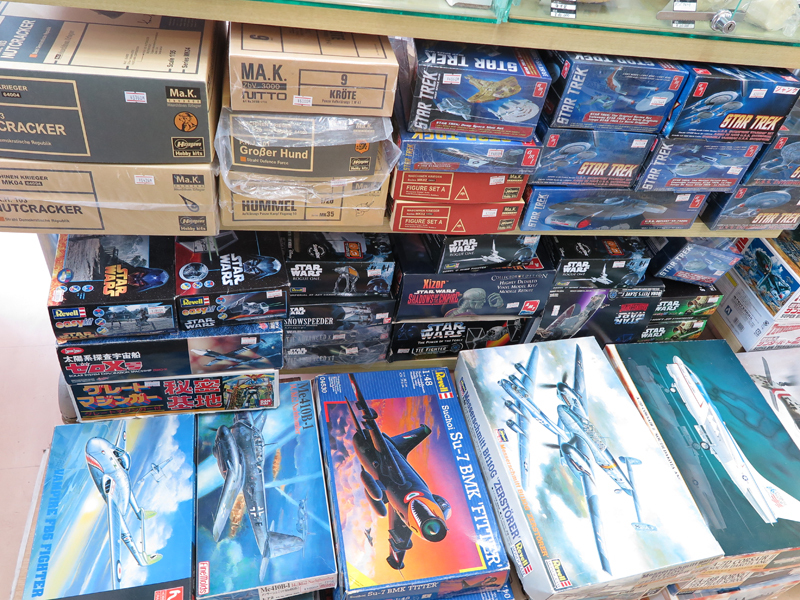 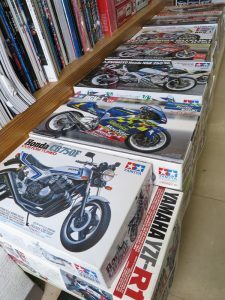 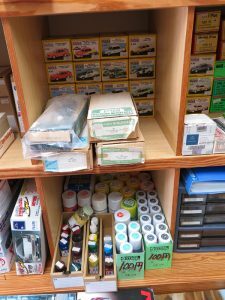 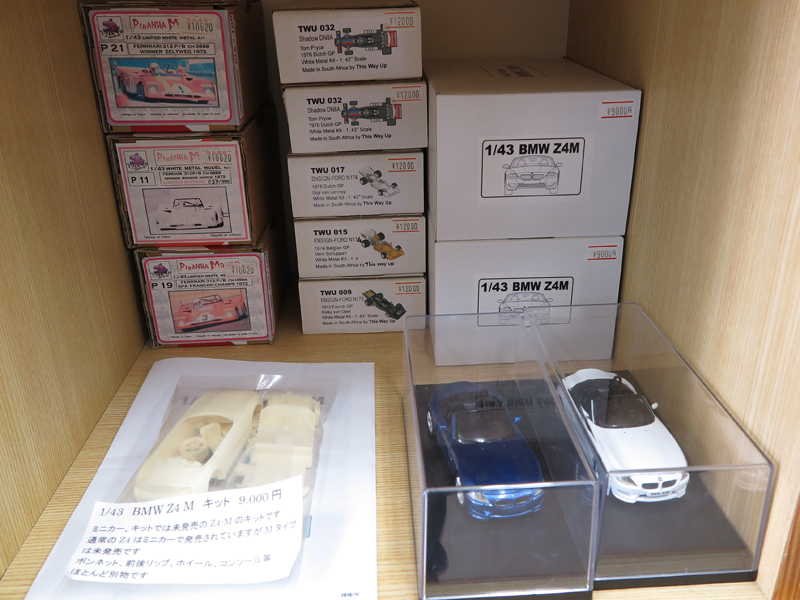 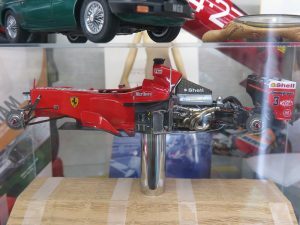 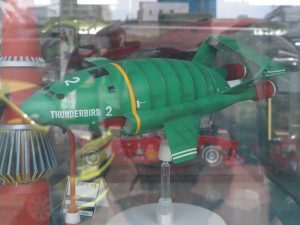 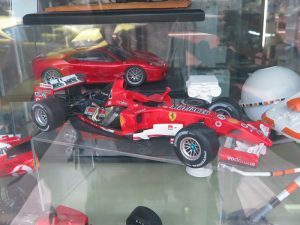 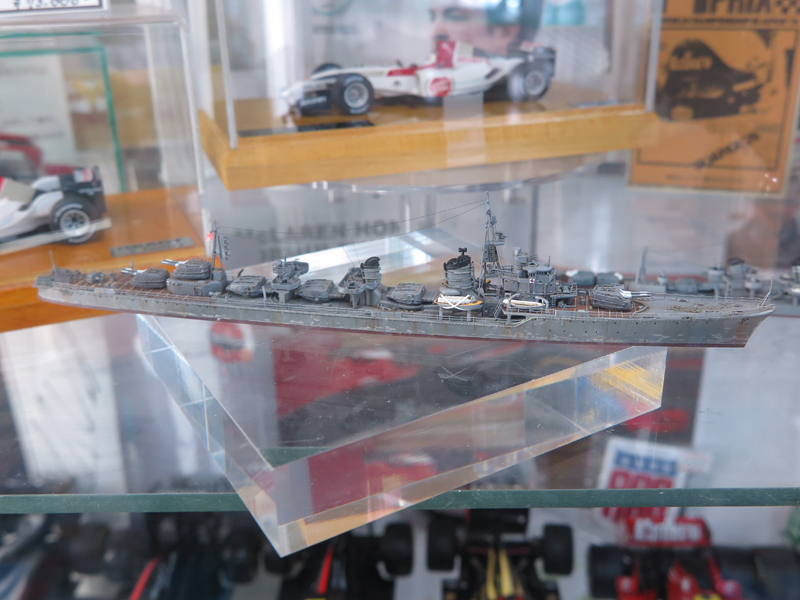 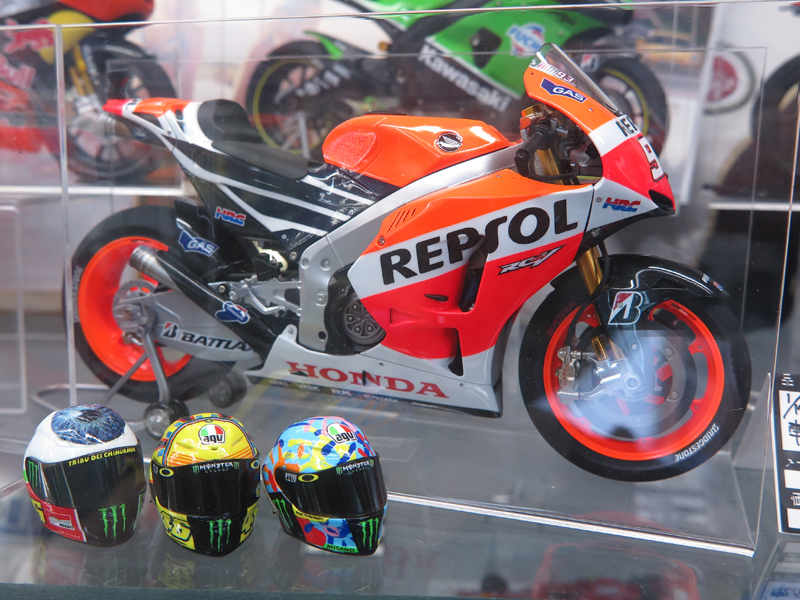 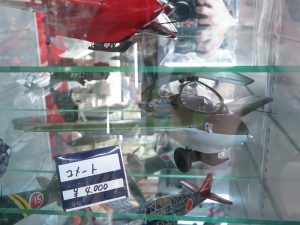 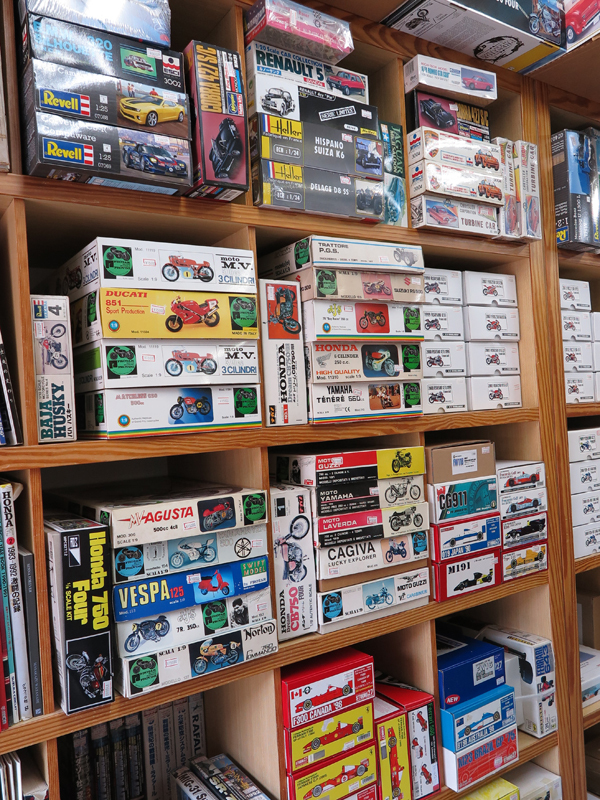 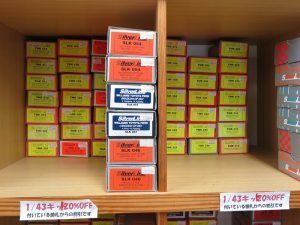 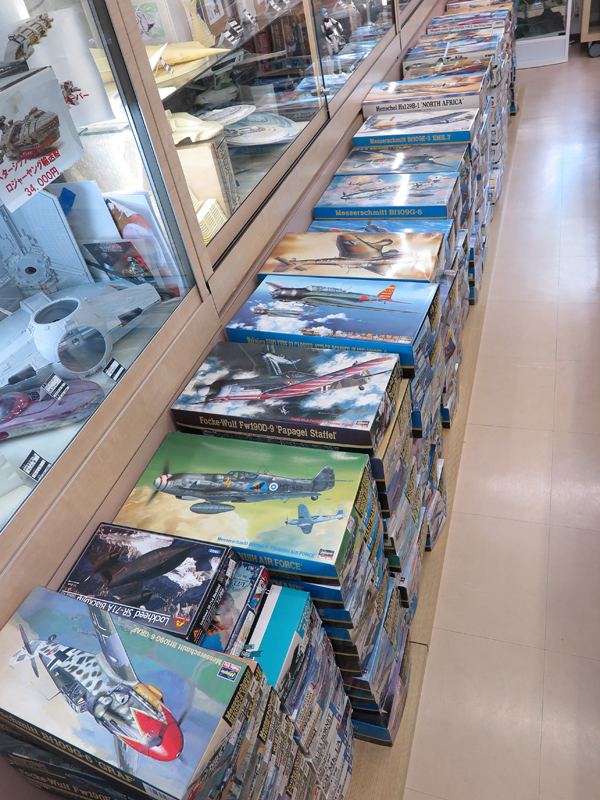 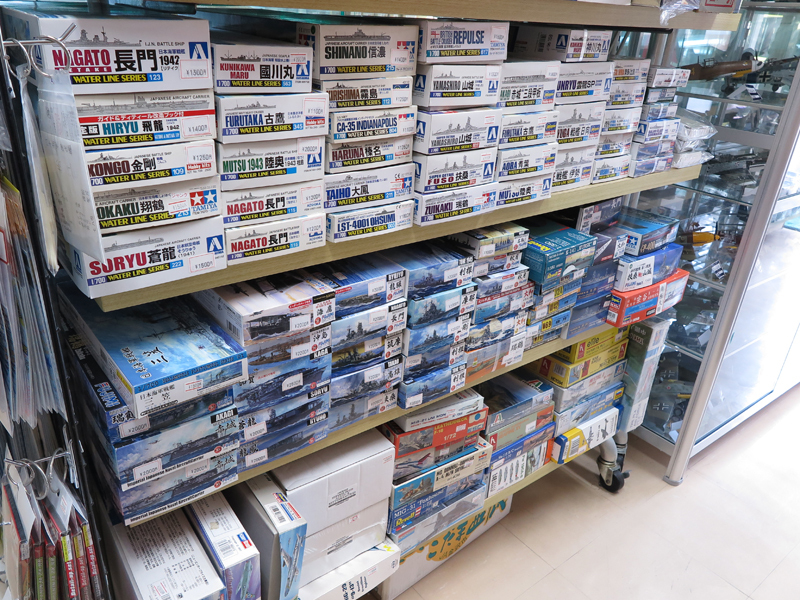 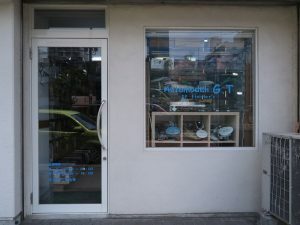 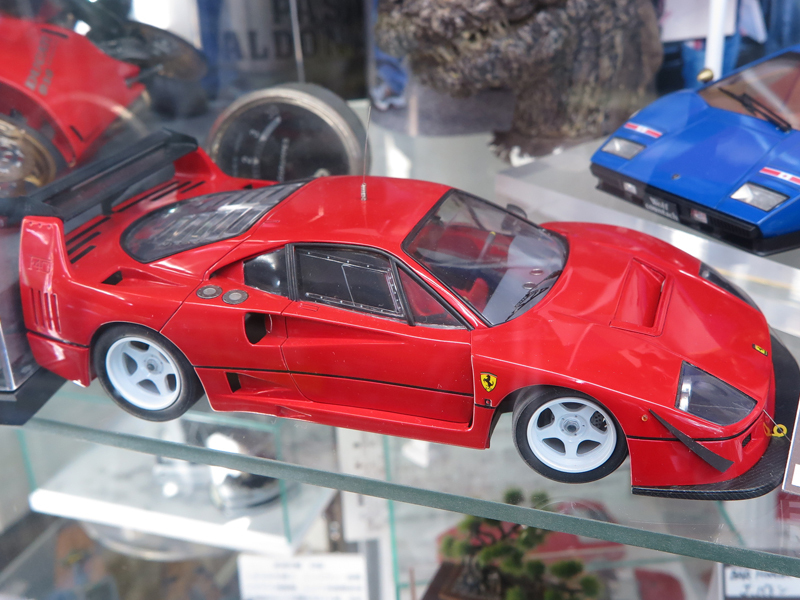 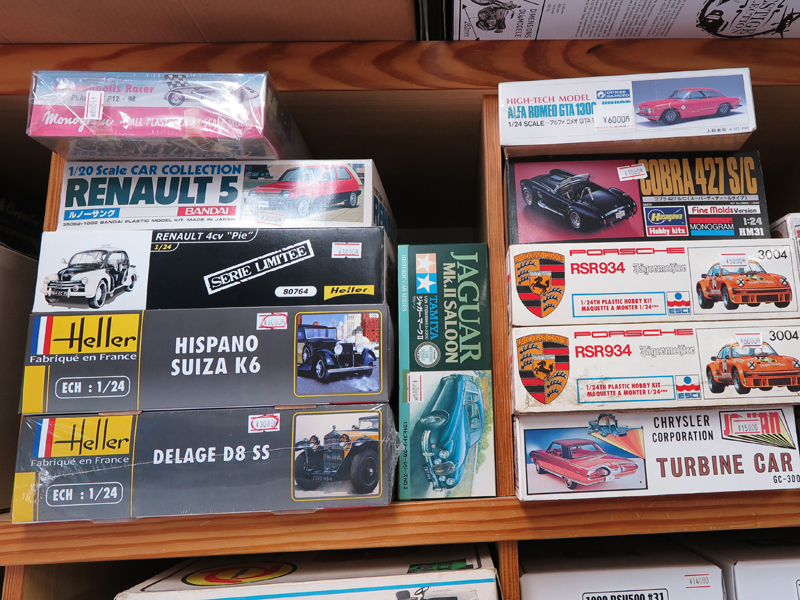 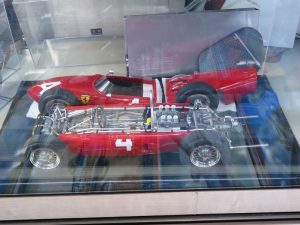 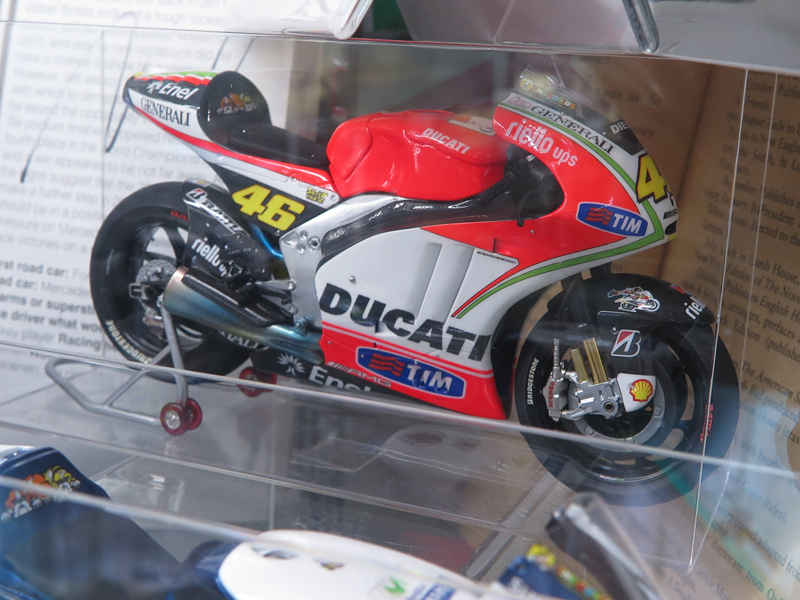 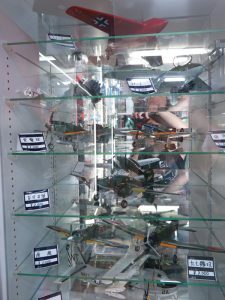 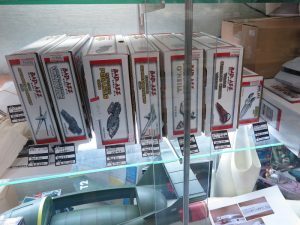 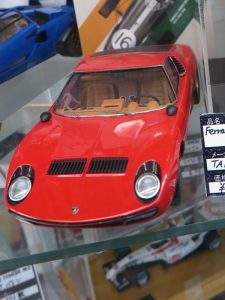 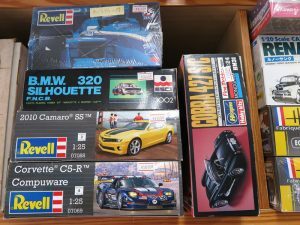 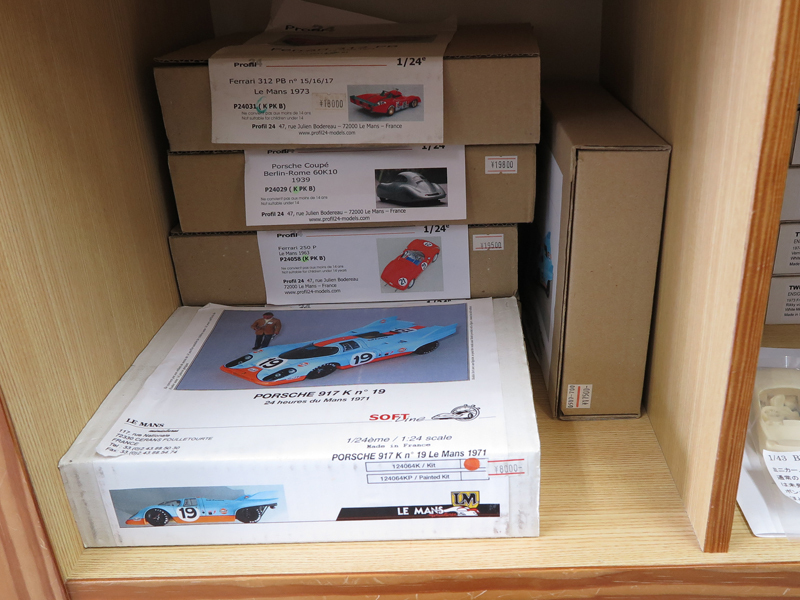 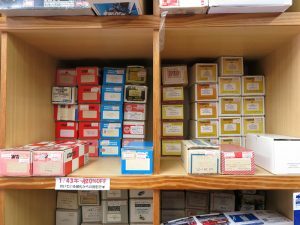 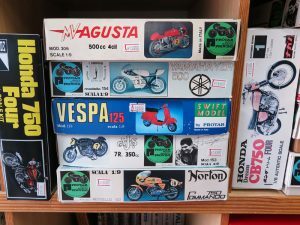 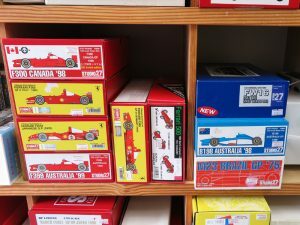 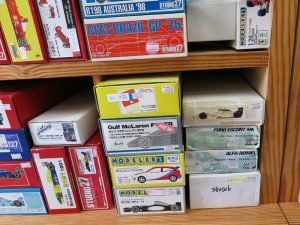 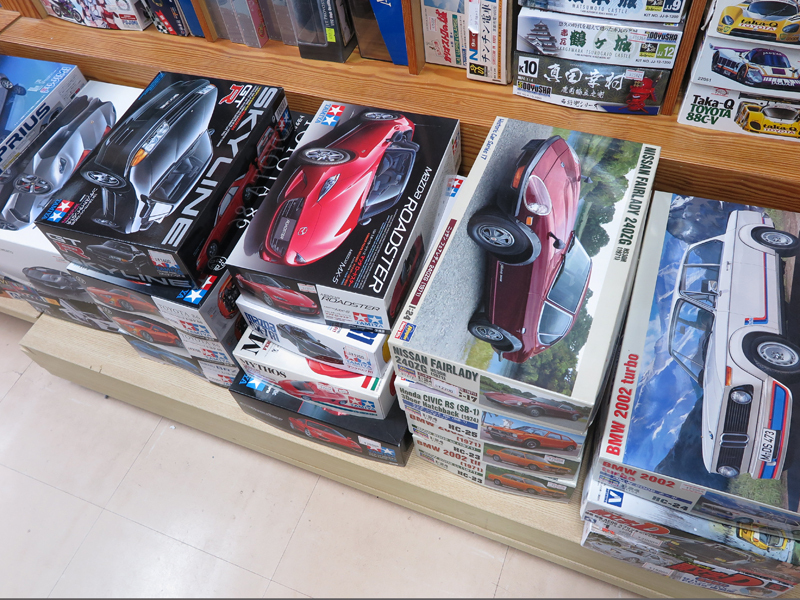 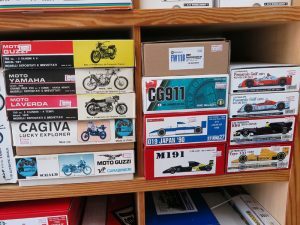 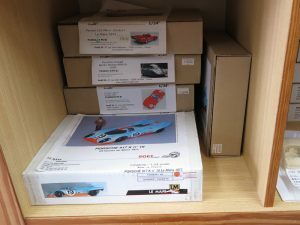 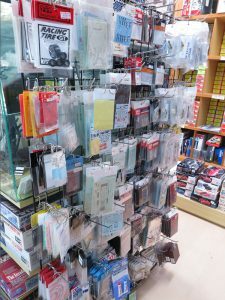 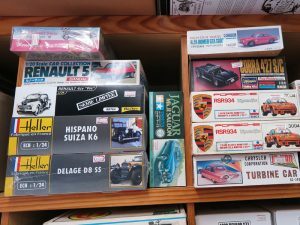 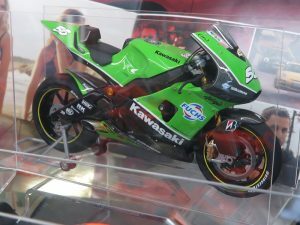 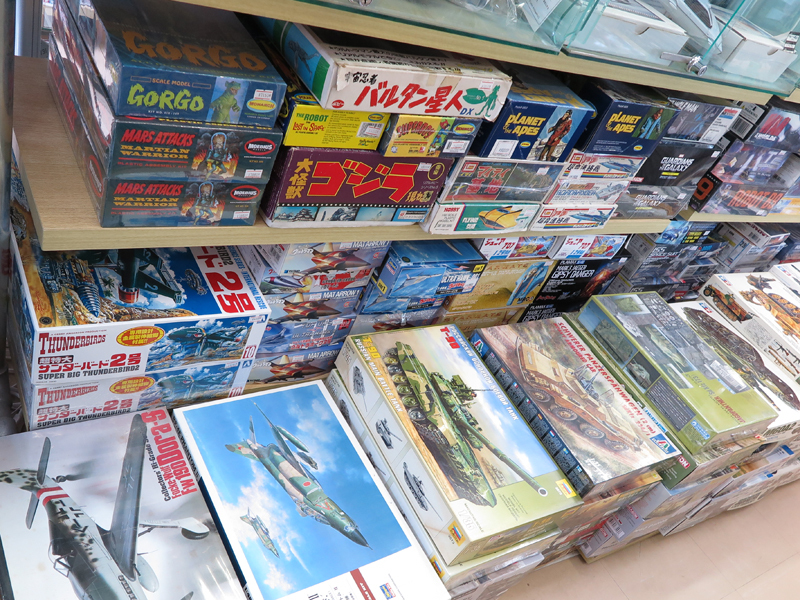 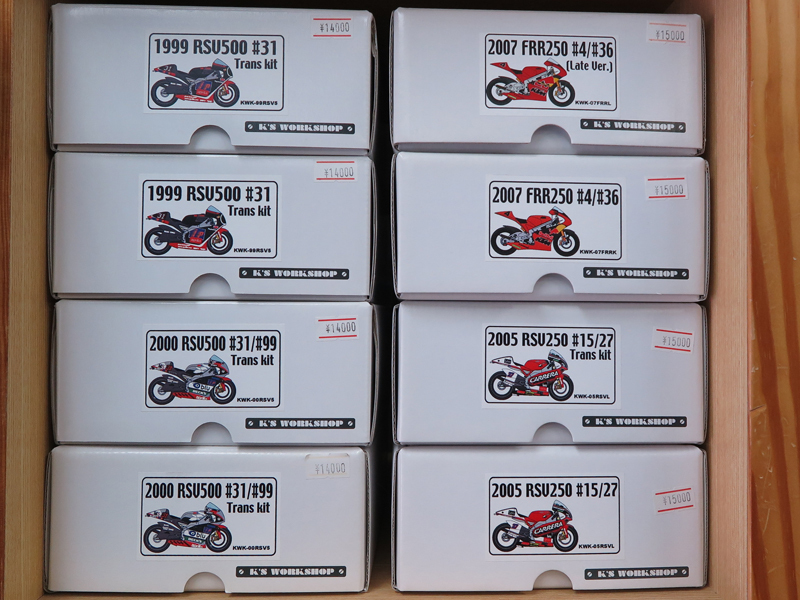 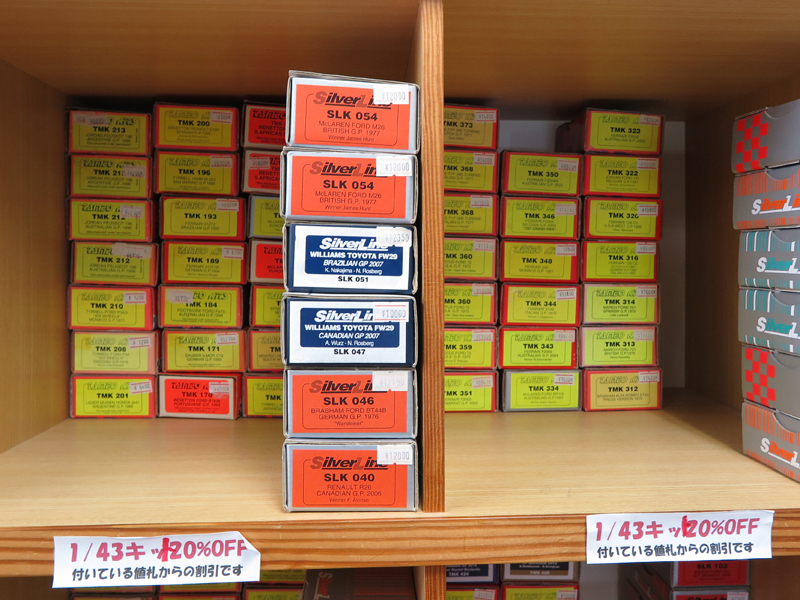 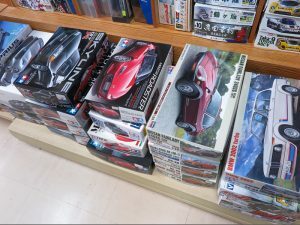 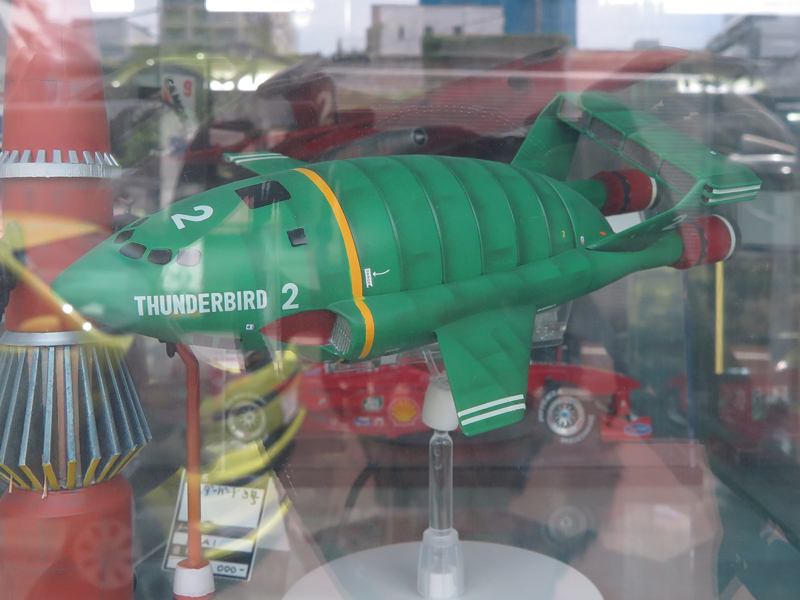 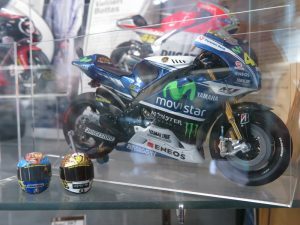 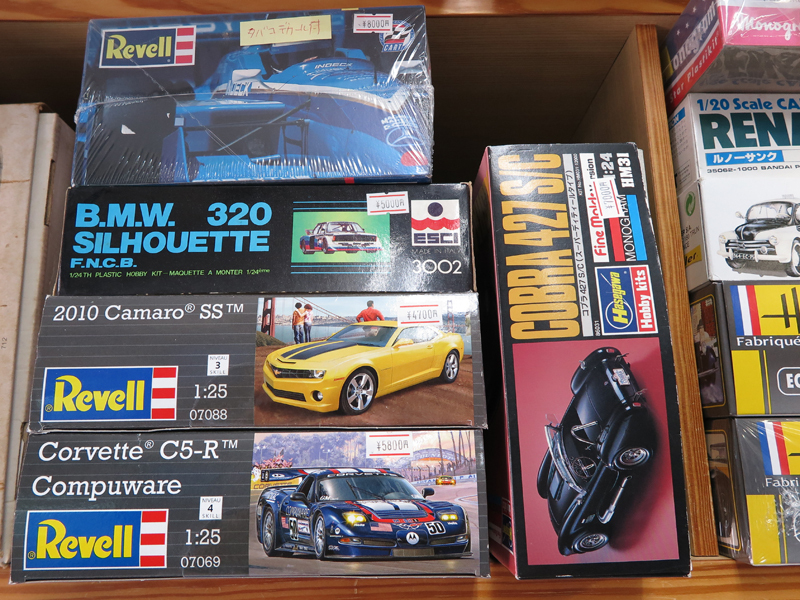 Beside just Finisher’s, this shop also sell model kits, they got wide variety of automobile kits, even 1/43 white metal car kits, resin upgrade etc. 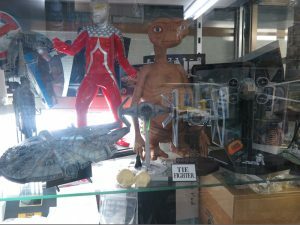 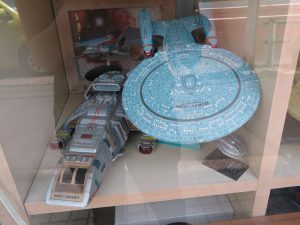 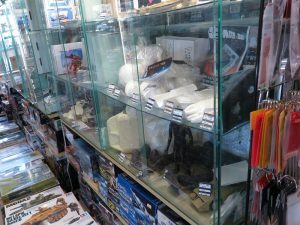 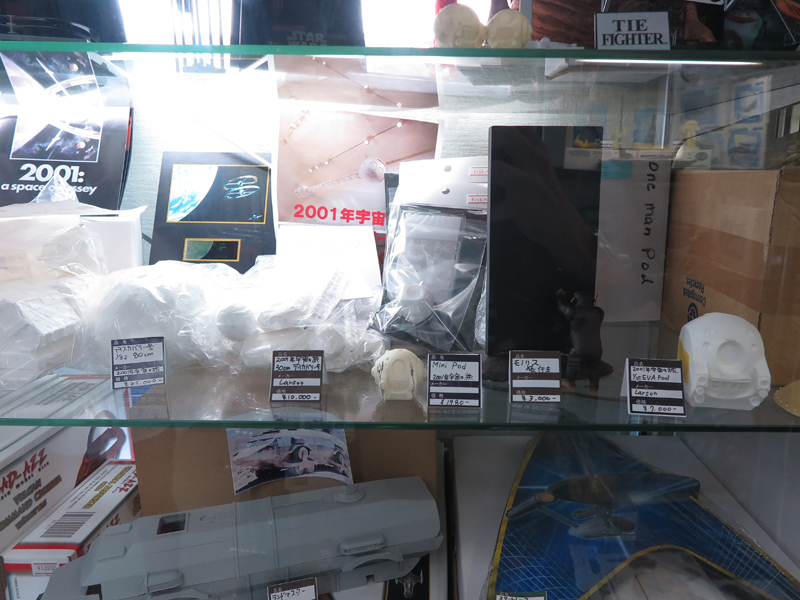 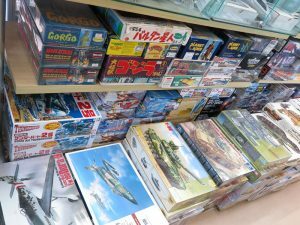 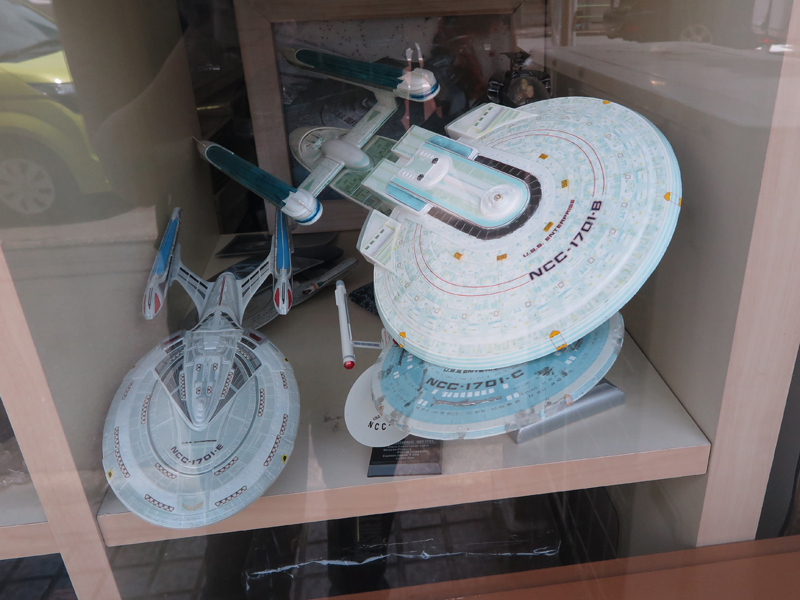 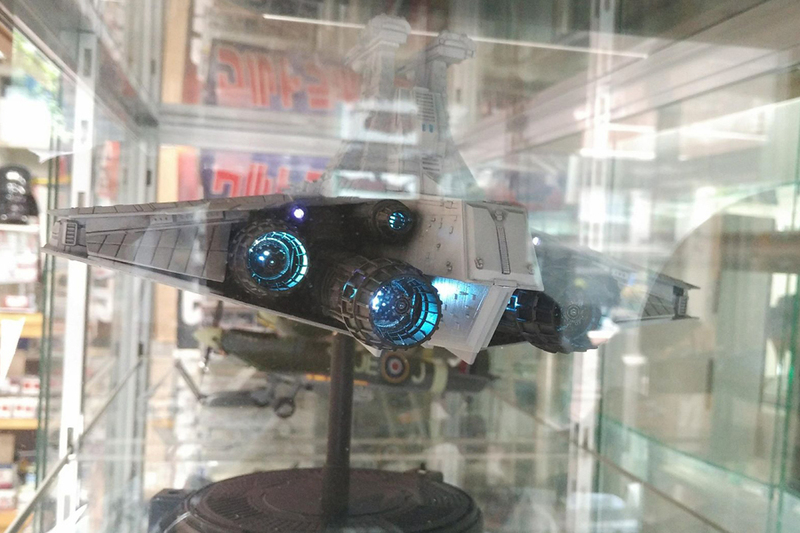 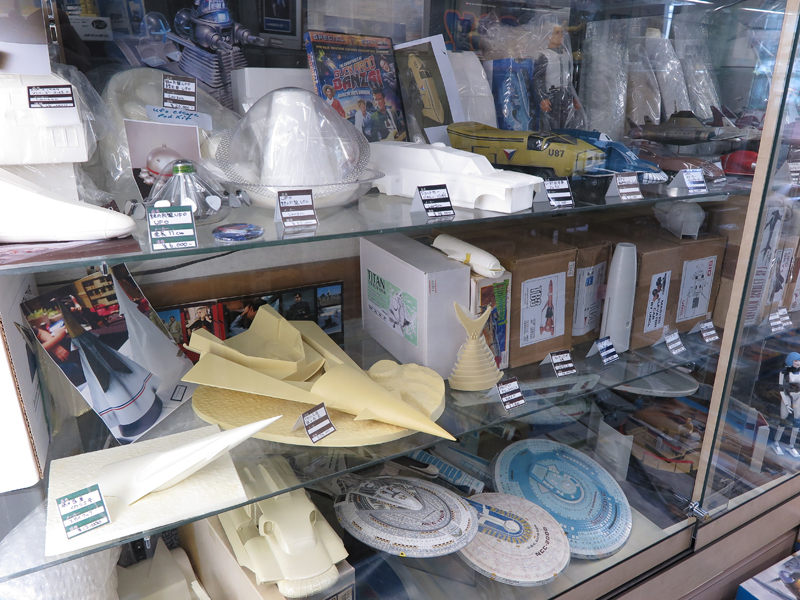 Another interesting part for me are the sci-fi selection, they have some rare resin kits for sci-fi such as, 2001: Space Odyssey, Starship trooper, etc. 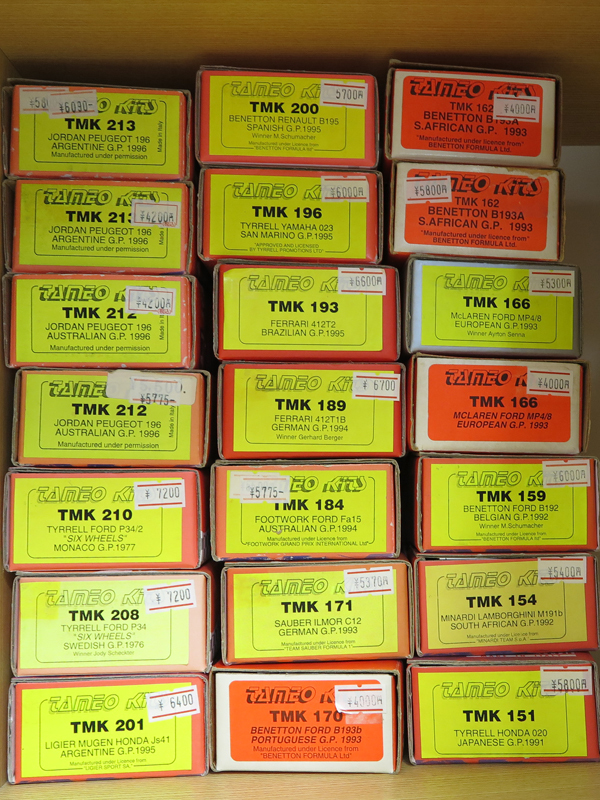 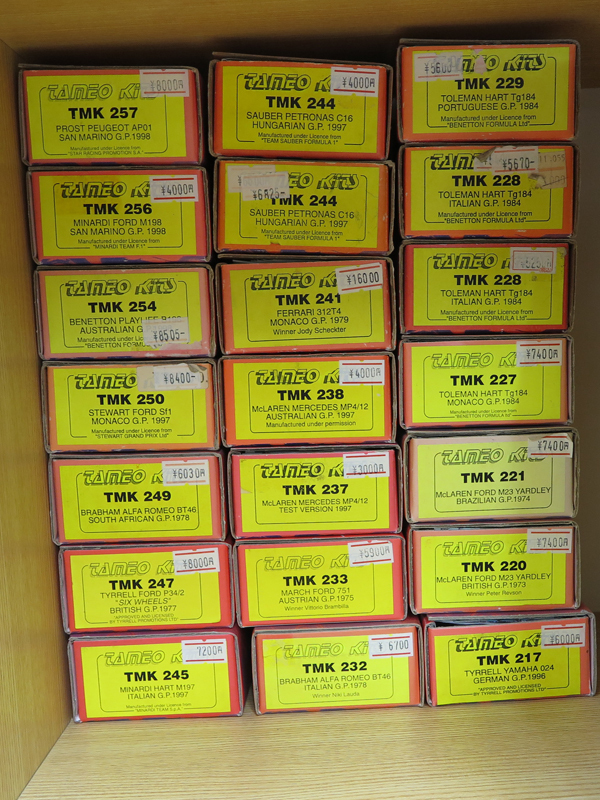 They have few selection of military kits as well. 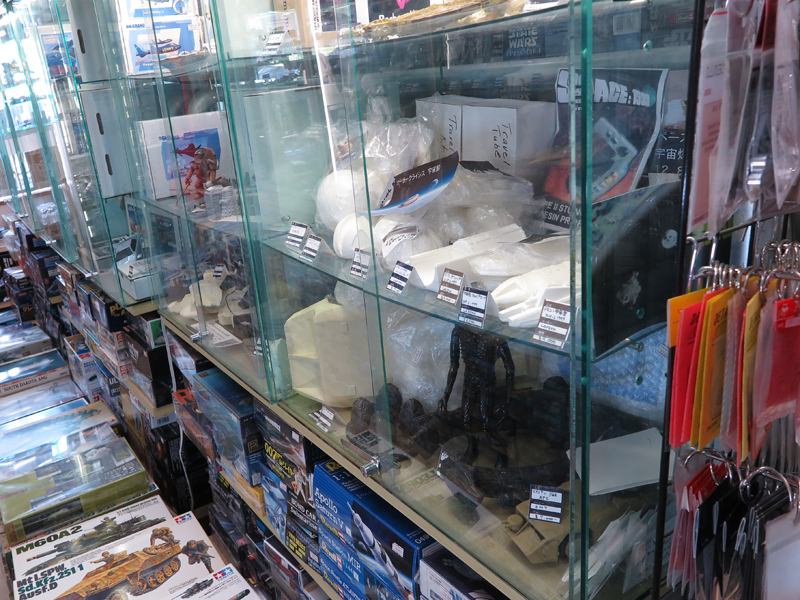 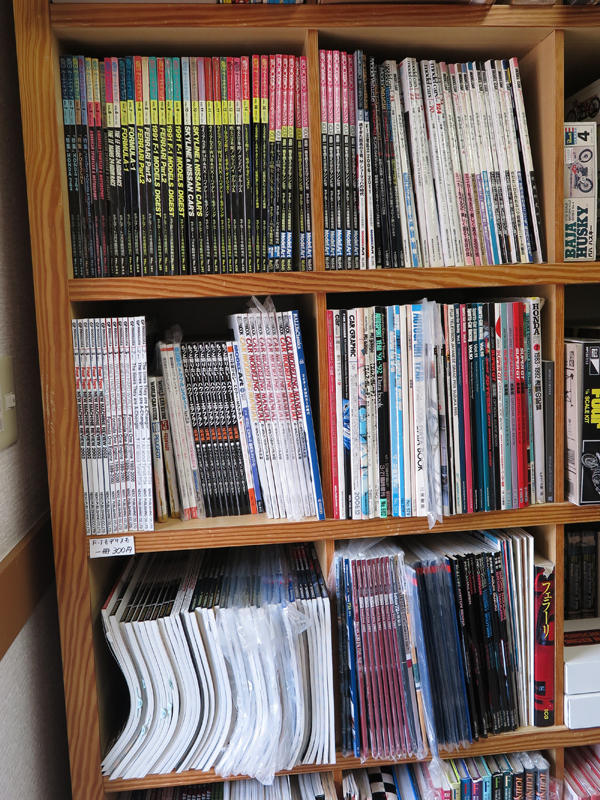 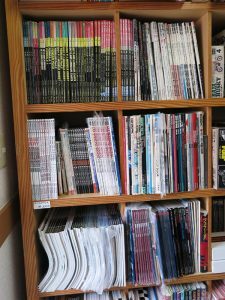 As well as some upgrade parts and reference magazine. 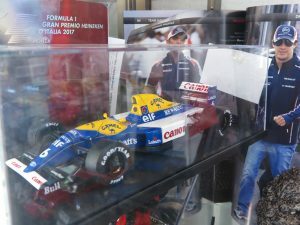 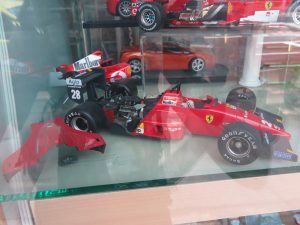 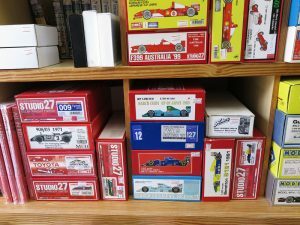 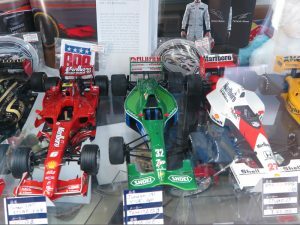 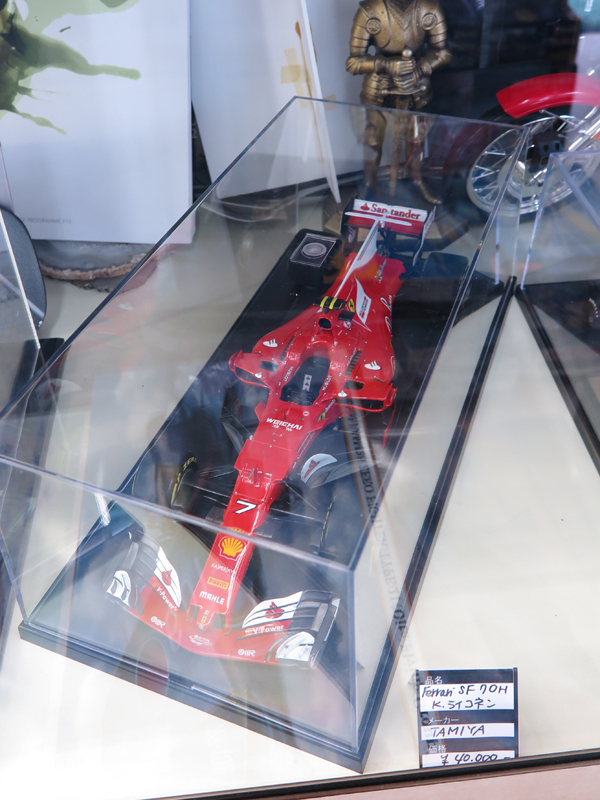 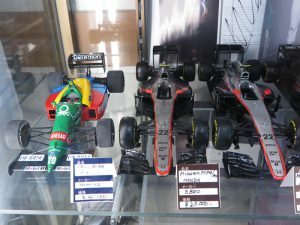 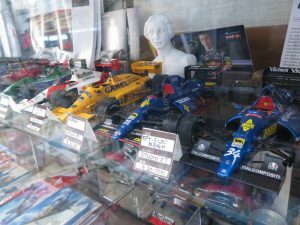 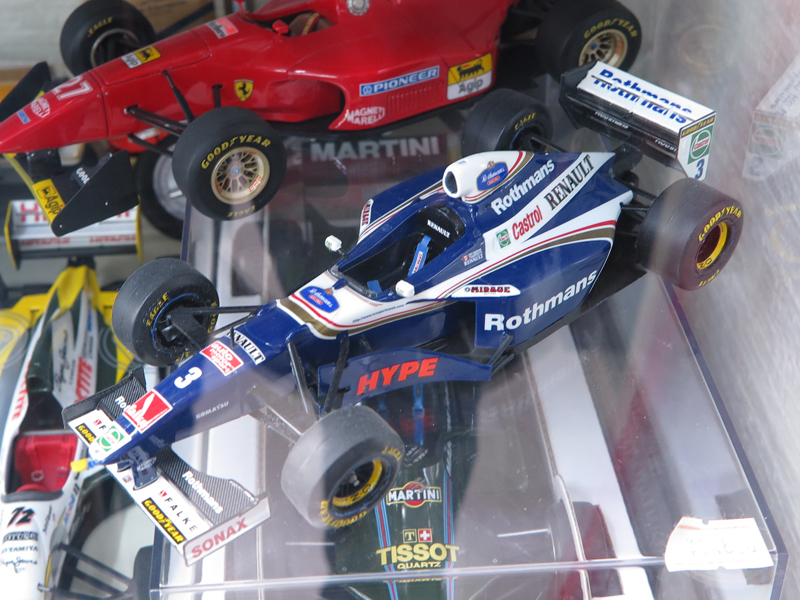 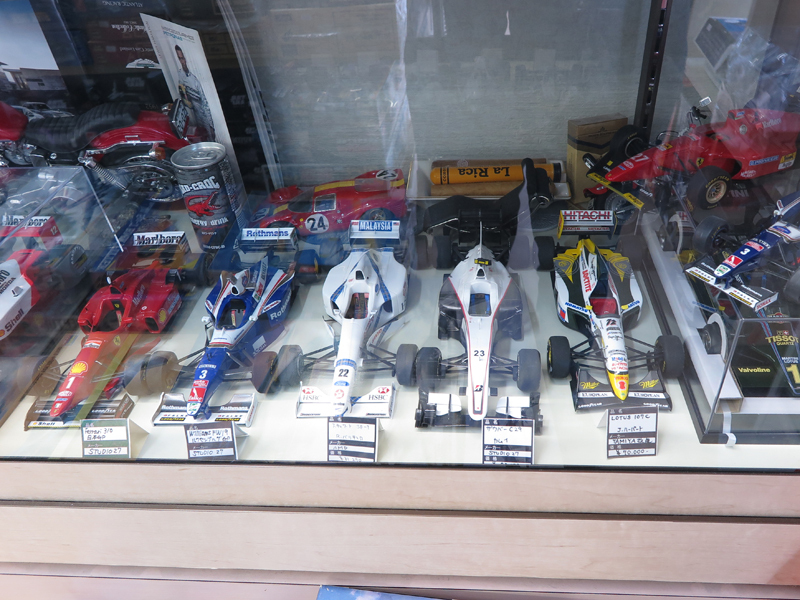 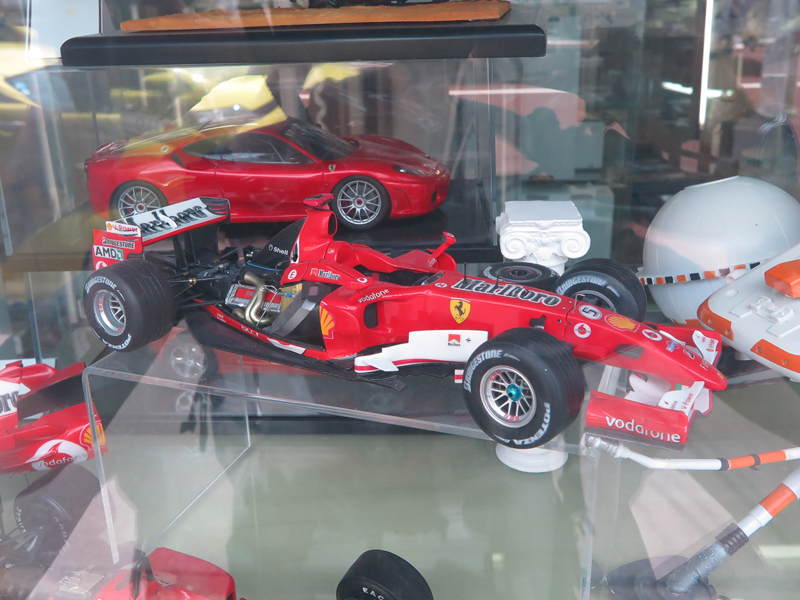 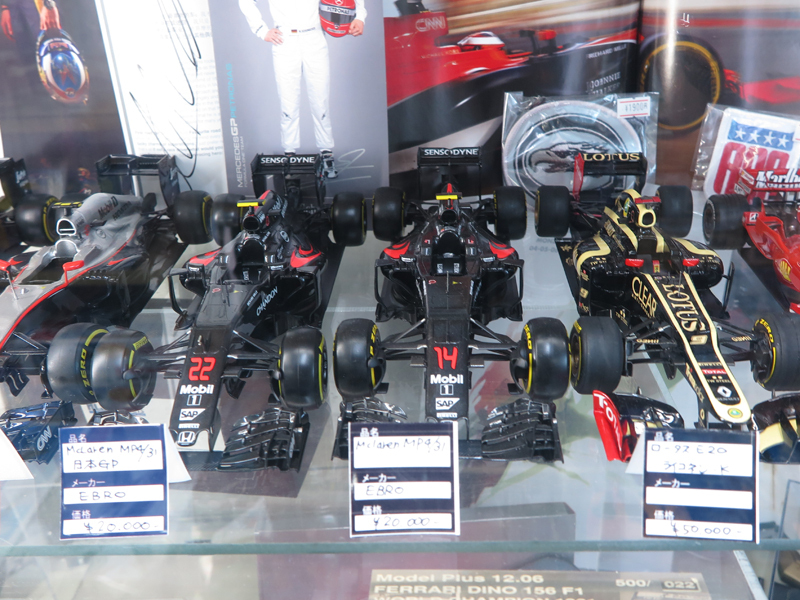 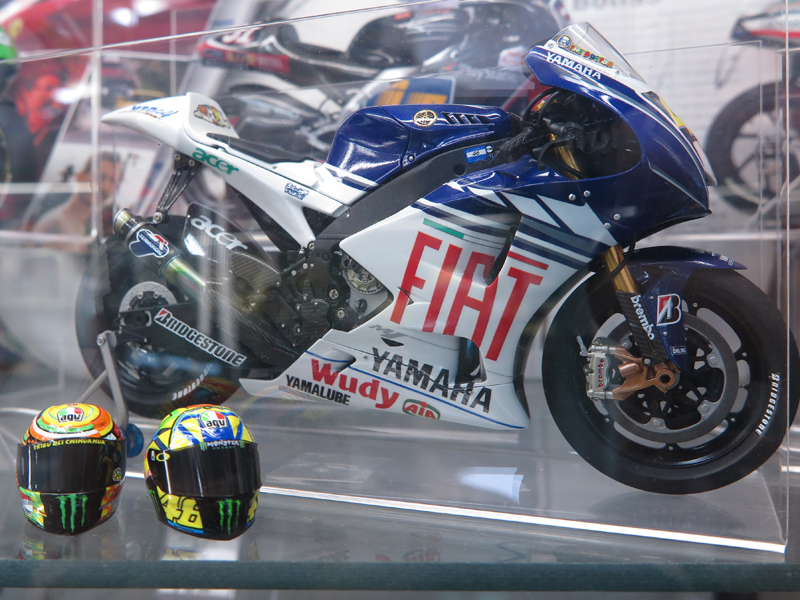 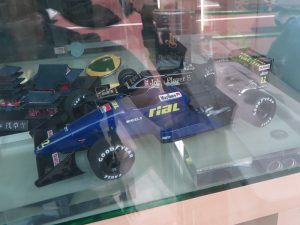 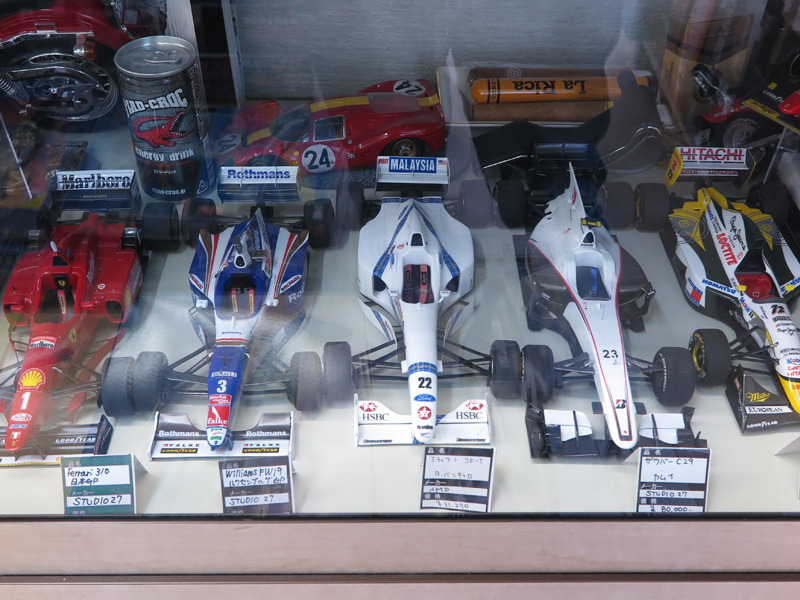 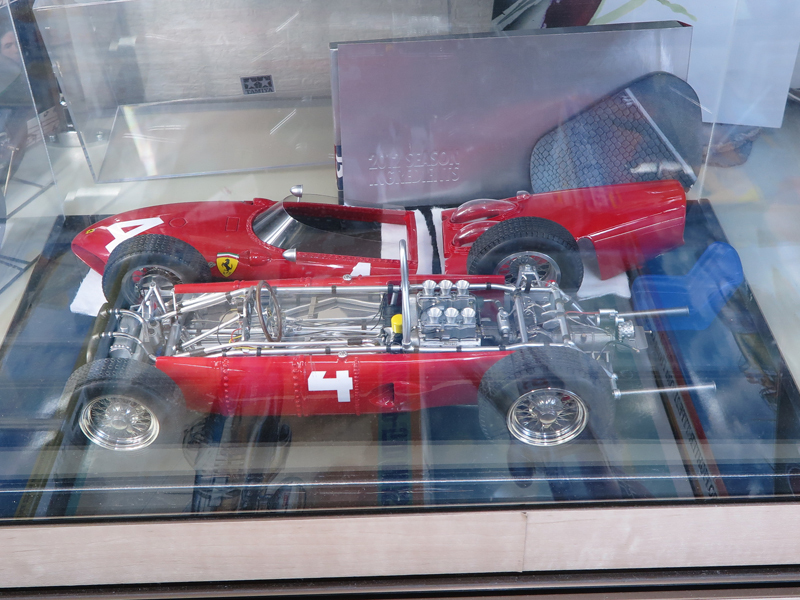 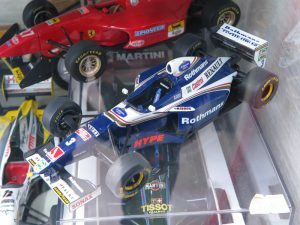 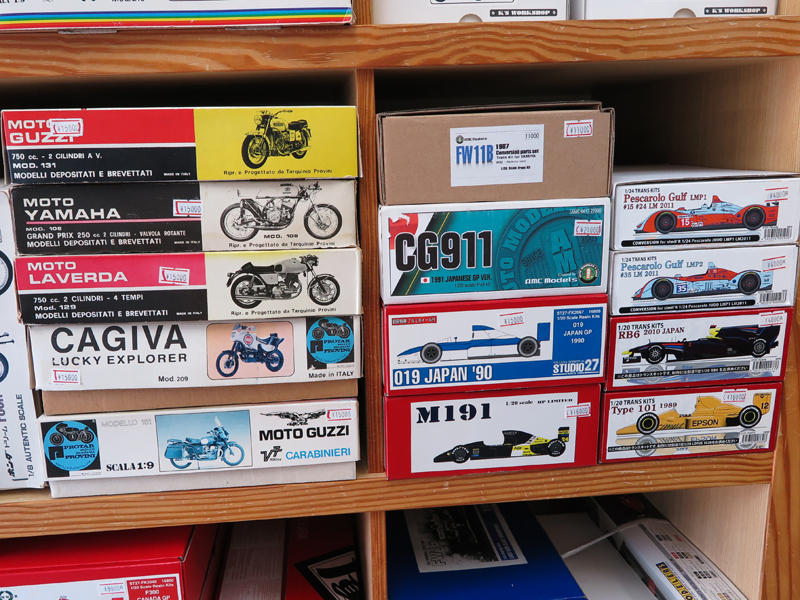 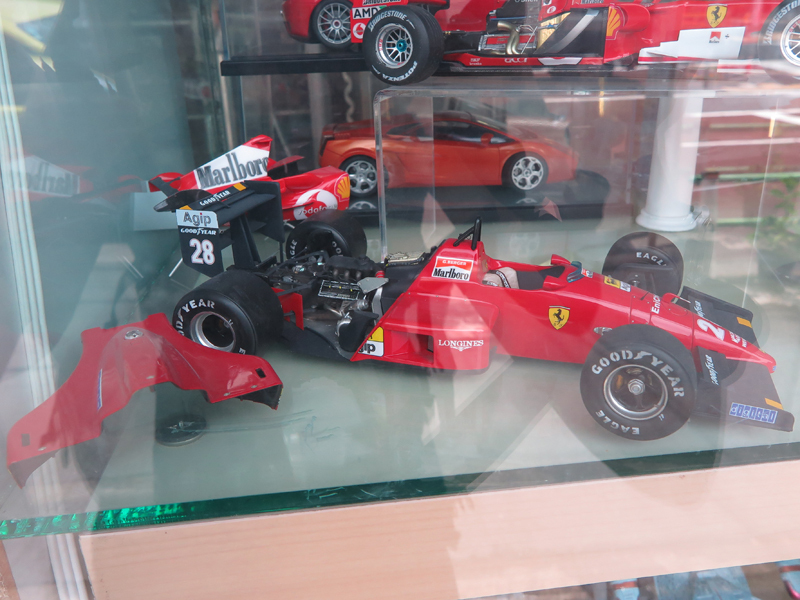 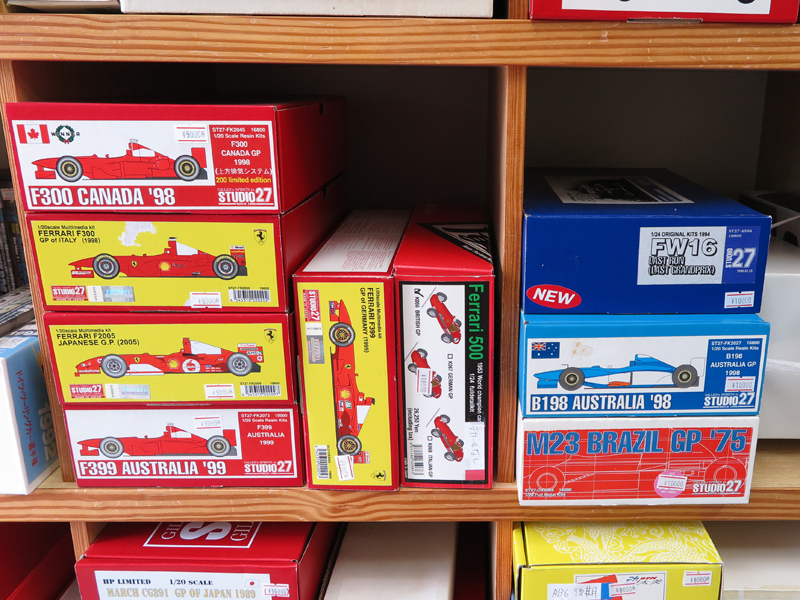 Also not to forgot completed kits display at the shop, Those cars and formula 1 are build by Mr Nobu himself, some are for sale. There’s an interesting shelf. 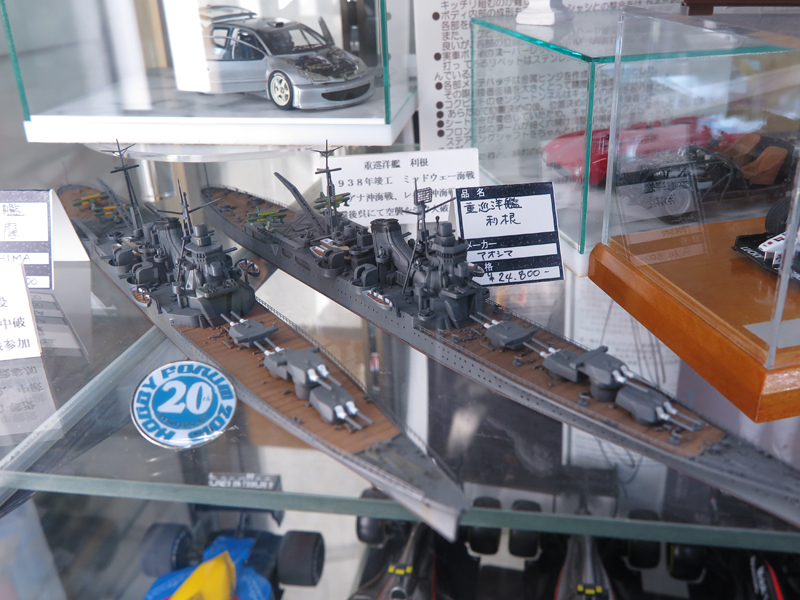 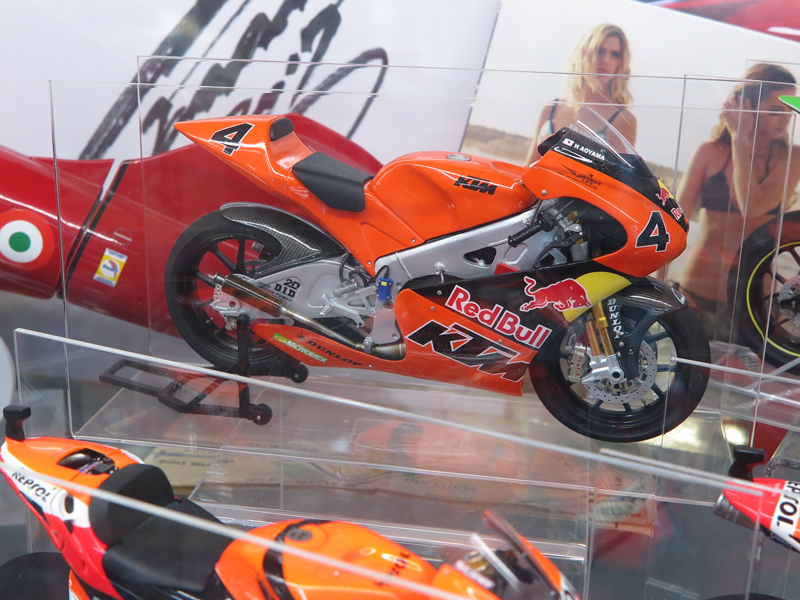 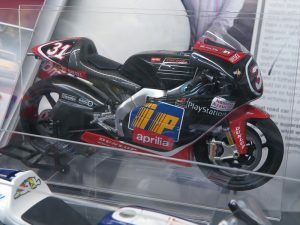 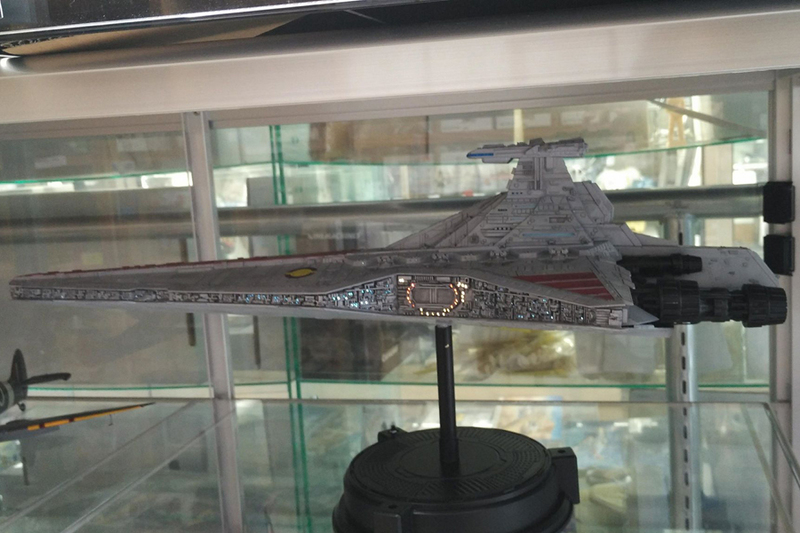 The model displayed here look like it’s done by newbie, and selling at rather low price. 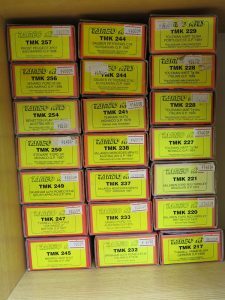 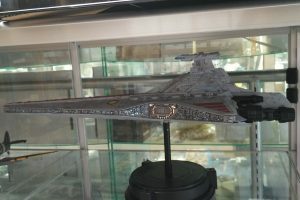 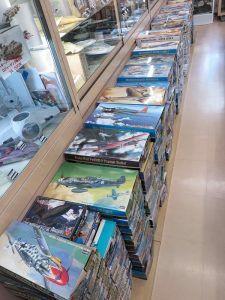 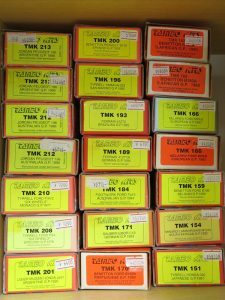 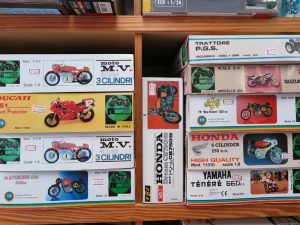 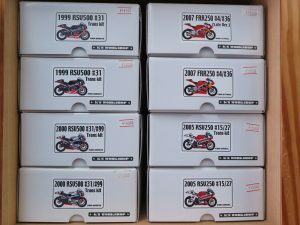 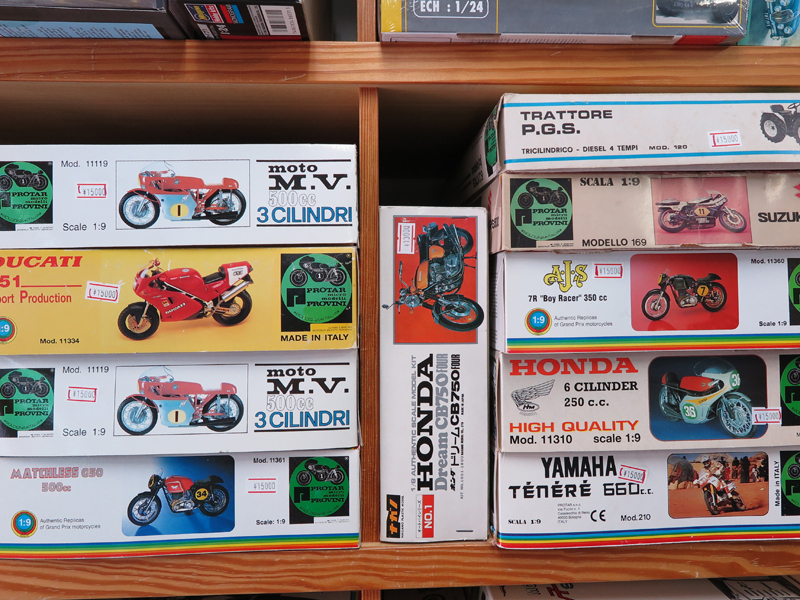 The story behind is rather a touching one, It belong to a customer (believe to be suffer from depression) who wanted to destroy all his builds, Finisher’s bosses then buy all his builds and sell them in low price so it give a second chance to the model kits, and interested person can buy them. 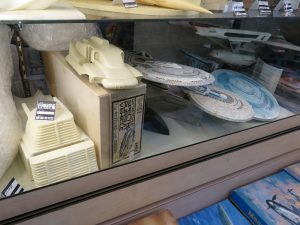 At least, his efforts and builds still can be seen rather than just end up in landfill.